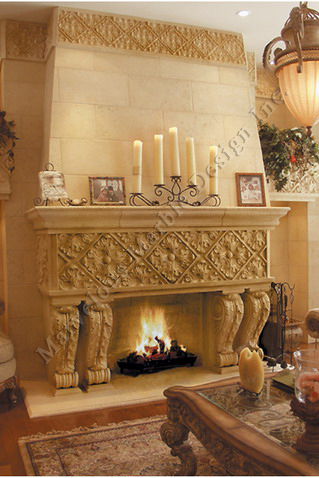 The Davinci italian fireplace mantel has a unique design that represents nature and its glory. 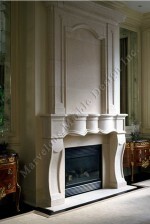 It is made from natural limestone and has a beautiful crown molding that finishes the piece. 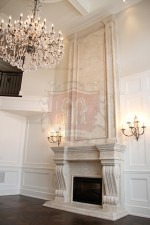 The fireplace over mantle is simple but elegant and is designed like a brick wall. 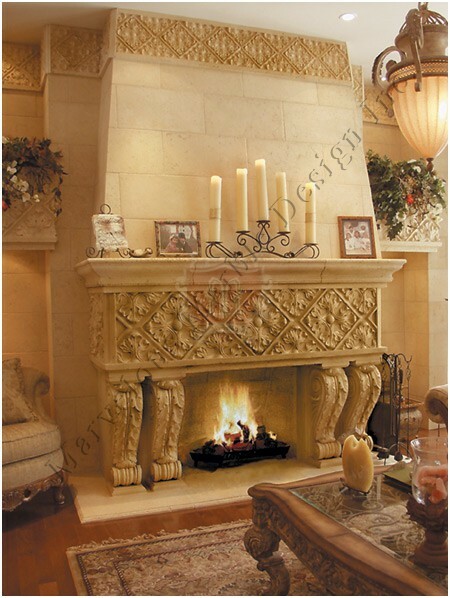 On each side of the fireplace mantle is a niche made out of same limestone with the same design as the mantel on a wall of stone that the mantle and the niche are placed on. Inside the niches can be flowers of your taste. The frieze of the mantel has the same design as the crown molding and is supporting the over mantel, but also maintaining to stay lovely. The mantels hearth is the bottom of the mantle and can separate your mantel from your floor so the beauty of the mantel does not mix in with the beauty of your hardwood floor. As you can see this mantel would be a great addition to your home. 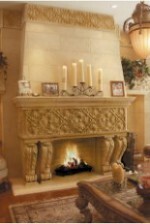 This Italian fireplace Mantel Design can be installed with wood or gas burning fireplace. Overall Size: (W X H) 90"X66"Opening Size: (W X H)36"X38"